Ceramic Foam Filter for liquid aluminium filtration +Qingdao Fralco Aluminum Equipment Co., Ltd.
FRALCO Filtration System FRALCO offers filter boxes for filtering liquid aluminum in continuous or batch casting applications. Available as a single or double design, these units offer adjustable height for leveling, tap out systems to enable drainage, and filter box cover systems. The radiant tube heater system can pre-heat the empty box or holding the box with metal. An optional PLC control unit is available to control pre-heat, filter box cover system and clam. FRALCO ceramic foam filters provide a cost effective and proven method to remove inclusions from aluminum melts. The exact removal efficiencies can vary greatly depending on application conditions. Typically, efficiency increases as filter cell size and the velocity of the metal in the filter decrease. 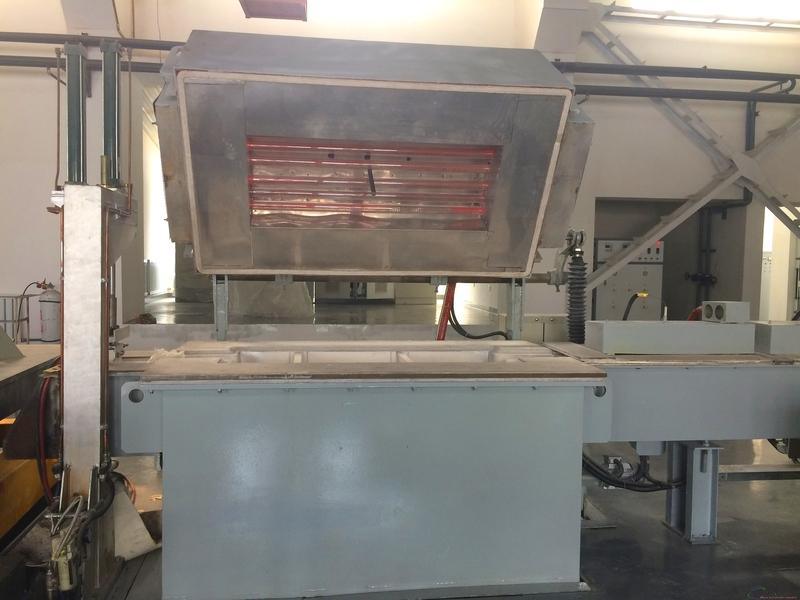 Advantages A complete turnkey filter box system Supplied to the exact requirements of the customer Available with or without a heating system Variable operating height for ease of use and connection to existing launder system “Tile-saving technology” is popular within casthouse application. With this kind of design, usually, one tile can be used up to six casts.